For the first time, Apple has included supplemental material alongside its financial results, noting that "in constant currency, Q1’16 revenue would have been $5 billion higher". "$100 of Apple’s non-U.S. dollar revenue in Q4’14 translates into only $85 U.S. dollars today", the company noted in a document available here. 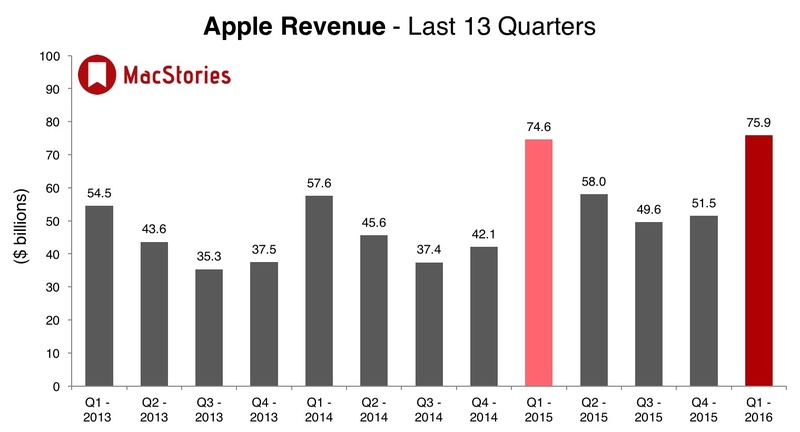 Apple's guidance for Q1 2016 fell between $75.5 billion and $77.5 billion. This week, Fortune surveyed a number of institutional and independent Apple analysts, and found that the average prediction was for Apple to earn $77.15 billion in revenue and an earnings per share of $3.29. The analysts estimated that Apple sold 76.3 million iPhones, 17.8 million iPads, 5.8 million Macs and 5.45 million Watches in Q1 2016. 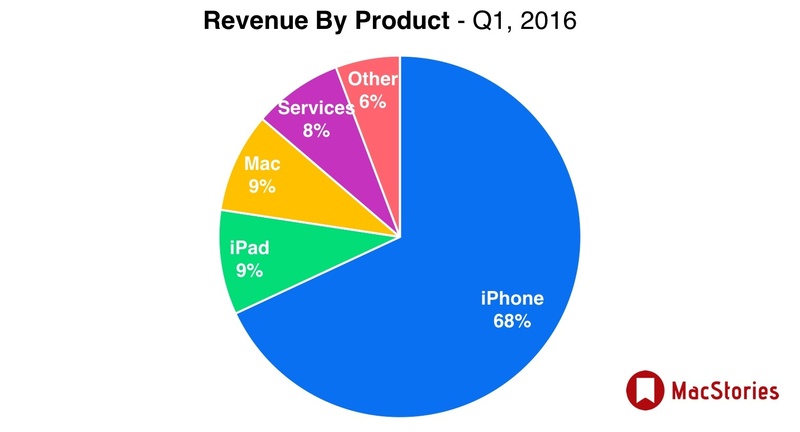 In the year ago quarter (Q1 2015), Apple earned $74.6 billion in revenue, and $18 billion in profit. 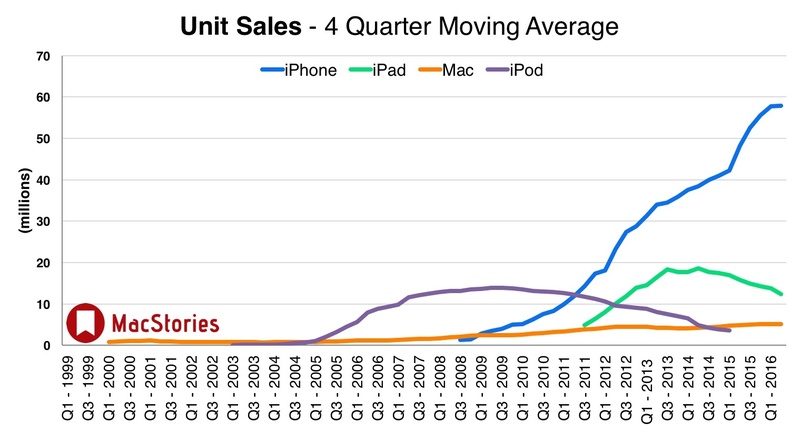 During that quarter Apple sold 74.5 million iPhones, 21.4 million iPads, and 5.5 million Macs. Apple sold an average of 34,000 iPhones per hour, 24 hours a day for 13 consecutive weeks. 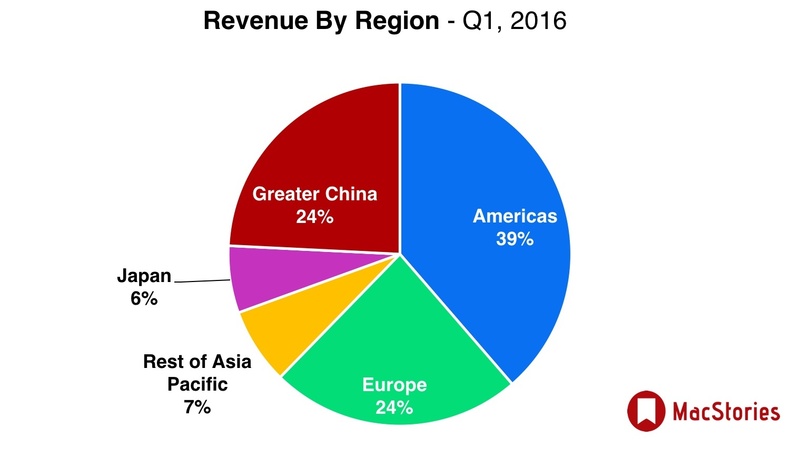 Two thirds of Apple's revenues are now generated outside of the United States. Apple saw a greater number of Android switchers than ever in Q1. 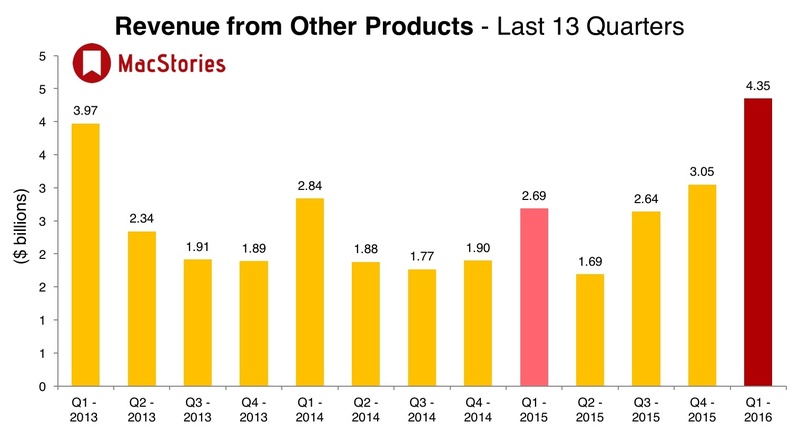 The company also had the best quarter ever for sales in China. 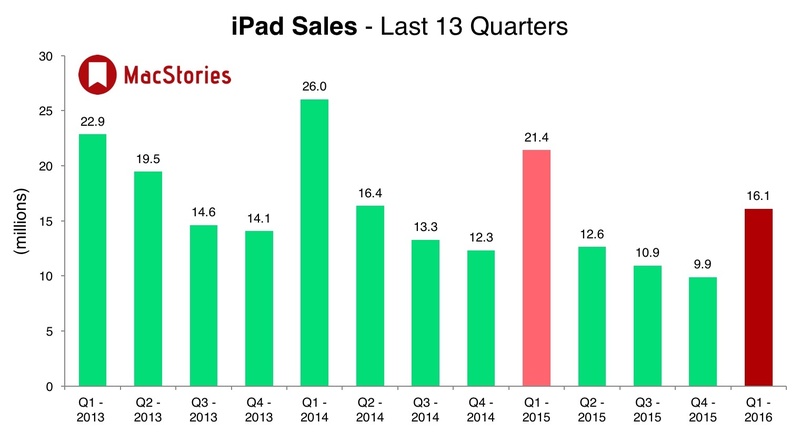 Best quarter "by far" for Apple TV sales. Today there are over 3600 tvOS apps on the Apple TV App Store. There are now over 5 million contactless payment locations in the countries where Apple Pay is available. Over 10 million people have subscribed to Apple Music. Apple now has $216 billion in cash. Apple's installed base has crossed 1 billion active devices for the first time. 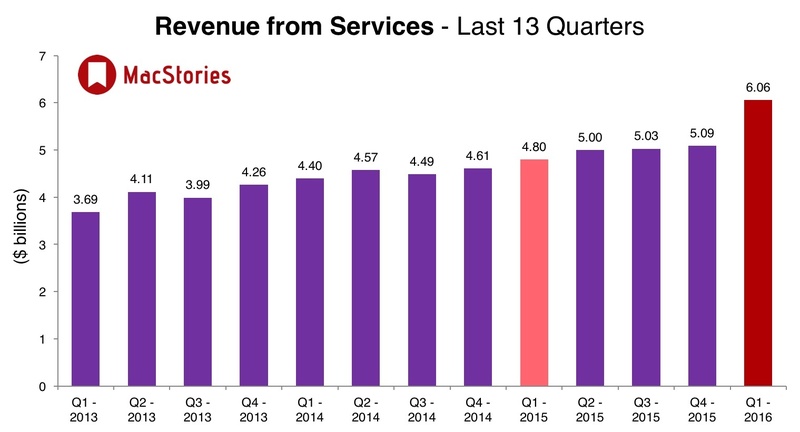 This has caused an acceleration in the growth of Apple's services business. An active device is a device that has engaged with Apple services over the past 90 days, says CFO Luca Maestri. Luca Maestri, quite interestingly considering Apple's recent naming schemes, calls their desktop operating system "Mac OS", not "OS X". 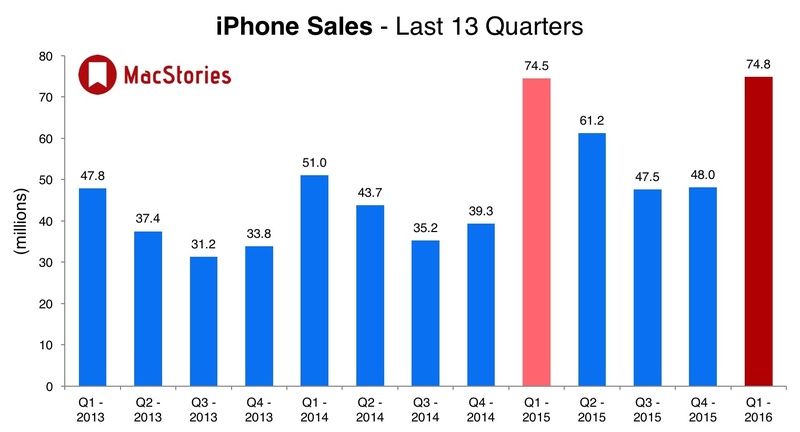 iPhone ASP in the quarter was $691, compared to $687 in the year-ago quarter. Apple saw 76% growth in India during the quarter. 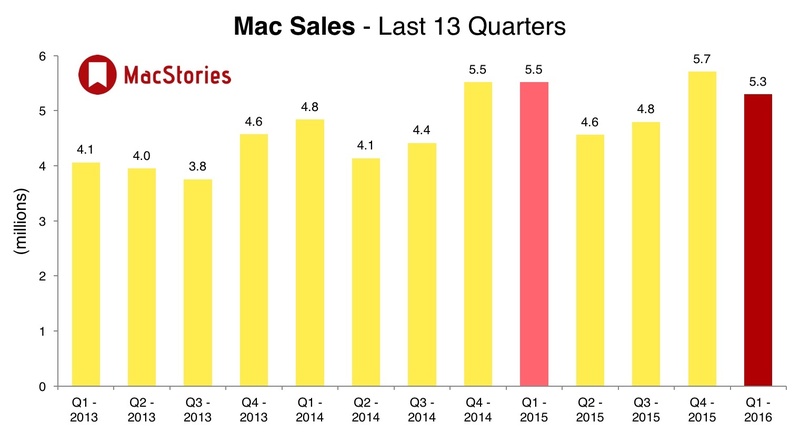 Mac sales were up 27% in China. iPad has captured 67% of the commercial tablet market for entertainment, education, and government use. Revenue from the App Store grew 27%, while customers grew 18% in the quarter. Below, we've compiled a graphical visualization of Apple's Q1 2016 financial results. Below, a collection of the most interesting tweets about Apple's Q1 2016 results. China, the biggest question, was up 14% YoY, from $16.1B to $18.4B. My estimate on Watch sales is about 5.5 million units during Q4. 12.4 million to date. Average selling prices for Macs for the quarter came in around $1270, in case you’re wondering how expensive most Macs sold are.